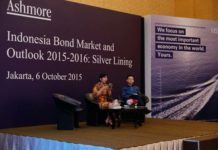 A hands-on, food-filled family day out. 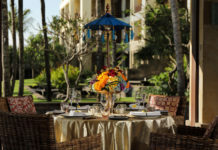 Putting the fun back into Italian dining, Prego is the upbeat family-style restaurant at The Westin Resort Nusa Dua, Bali that not only serves family-friendly authentic Italian cuisine throughout the week, but on a Sunday hosts its fabulous Prego Family Brunch. Packed to the brim with Italian specialties, barbecued treats, colourful desserts, an outdoor play area and lively activities and entertainment, the brunch is a fun and wholesome day out for the whole family. 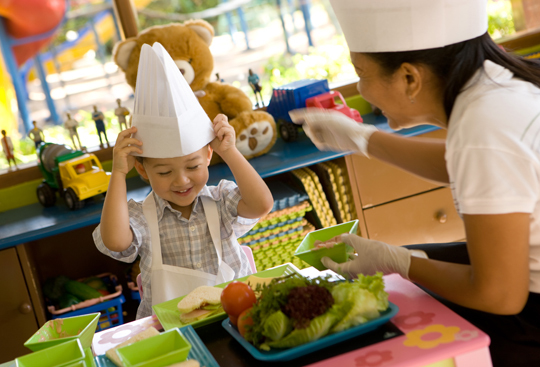 Young budding connoisseurs will also love Prego’s SuperChefs programme, where little cooks can build their own pizzas and decorate their own cupcakes complete with their own chef’s hat and apron. And don’t forget to say hello to Prego’s mascot, Pippo the Squirrel, and end the brunch with a splash in the resort’s premium wing swimming pools. Sip, savour and shop at this colourful family feast. 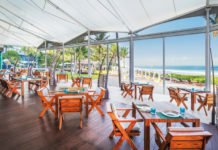 Not only home to one of Bali’s most adventurous kids’ clubs, every weekend Sheraton Bali Kuta Resort hosts its famed Sunday Market Brunch at the colourful oceanfront restaurant, Feast. 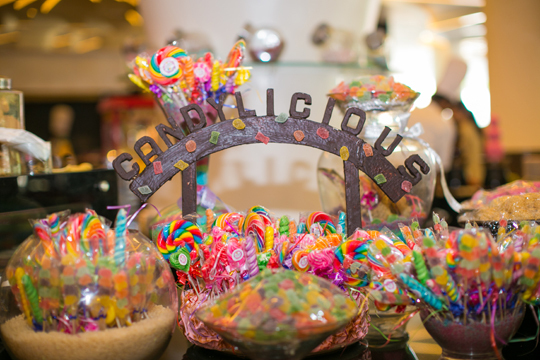 For children, the brunch is a culinary dream come true, jam-packed with family-friendly bites and sweet treats like velvety chocolate fountains, a fluffy candy floss machine and a vibrant ice cream and gelato stand. While the little ones are well and truly entertained, mums and dads can make the most of the “Sip, Savour and Shop” theme, where an open-air market of delicious fare and handmade crafts from local farmers, artisans and vendors are showcased alongside bubbling flutes of Duval Leroy Brut Champagne and fine wines. To ensure everyone is taken care of from start to finish, there’s also a kid’s corner for very young ones, complete with experienced childminders, and you can even bring the family dog too, who’ll be looked after with food and water throughout – meaning no one has to miss out on the weekend excursions! Join in the old fashioned family fun each Sunday evening at Bistro. 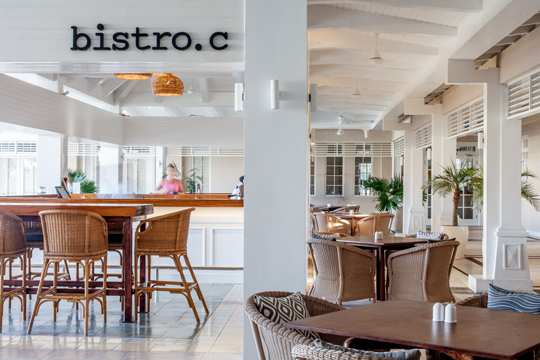 C.
Each week, Canggu Club members and visitors alike join in the fabulous, laid-back family atmosphere of Bistro. C’s family Sunday roast. The al fresco ambiance of Bistro. C lends itself well to the occasion, allowing parents to sip cool cocktails as the sun sets above a green lawn where kids will no doubt make new friends during a carefree game of football or tag, well within sight. 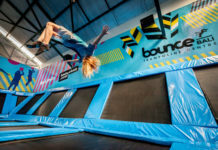 If they have been lucky enough to have spent the entire day at the Canggu Club, perhaps on the exciting waterslides of Splash Water Park, or in the air at Bounce Trampoline Centre, then your kids will have worked up quite the appetite. Choose from a succulent selection of roast beef, chicken, pork and excellent vegetarian options – when the time comes to eat, every eye in the family will widen as their personal roast approaches. This hearty, traditional family meal includes succulent meat balanced by sides of roasted potatoes, pumpkin and healthy vegetables. After everyone has cleared their plates, feel free to order another glass of wine as your children rush off, joining their newly made friends for a family movie on the big screen. As they enjoy a supervised, air-conditioned special screening complete with comfortable beanbag chairs, you can enjoy a stress free ending to a wonderful weekend. Because no family holiday would be complete without gelato! It’s no secret that kids love ice cream, so what better way to treat the little ones to their favourite sweet goodies than to take them to Gelato Secrets – a gelato bar that was actually inspired by the childhood memories of its founders And, with a concept that honours 100% natural, fresh and premium ingredients, you can rest assured the kids are getting a little bit of goodness, too. The signature favourites at Gelato Secrets range from the rich and indulgent Chocolate Valrhona, Salted Butter Caramel and Chocolate Chilli, to the lighter, fruity flavours of Coconut Pandan, Guava Strawberry and Passion Fruit – all of which are free from artificial flavourings, colourings and preservatives. 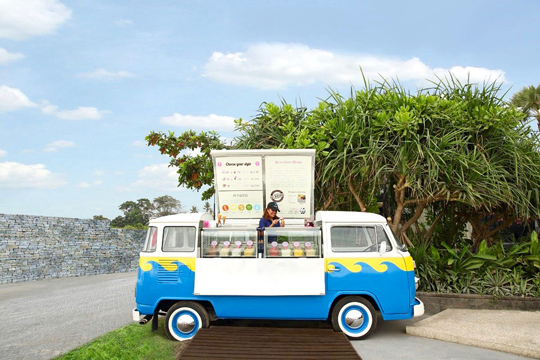 A total of six locations are scattered across the island, and for that extra bit of fun, a Gelato Secrets vintage VW combi is parked beachside in Seminyak, serving up the signature sweet cones right on the oceanfront for post-sandcastle-making treats. 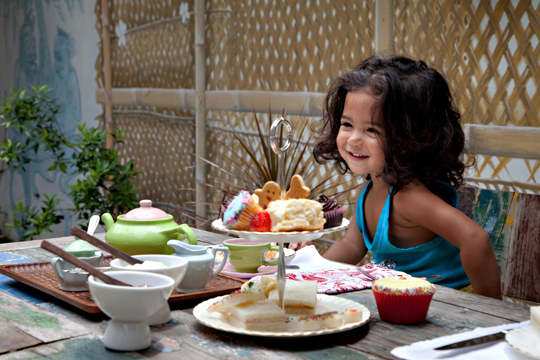 Gather your mini Mad Hatters for an Alice in Wonderland-esque tea party. Biku has long been renowned as a Seminyak staple for families in Bali, best loved for its quaint tea lounge that also sells dainty homewares and unique books to keep the kids entertained over breakfast or brunch. 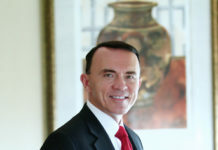 Yet it is Biku’s high tea that is the main draw here, served within the homey surrounds of the 150-year-old teak joglo. The high tea is undoubtedly and authentically English, complete with a tea list comprising over 50 varieties selected by Biku’s own tea master, Tjok Gde Kerthyasa. For children, the tea is served up in a red and white polka dot teapot, reminiscent of Alice in Wonderland, whilst the towering high tea display is stacked with gorgeous cakes, pastries and sandwiches to tuck into. Think multicoloured fairy cakes, iced cupcakes with a rainbow frosting and scones loaded with lashings of jam and thick whipped cream. Complete the long and lazy afternoon with the kids with Biku’s board games and colouring books.